This month the Good Little Company caught up with 14 year old Ciara, who has recently returned from her first visit to Malawi. We asked her to tell us a bit about her journey to Malawi and experience of the projects the Good Little Company support. Tell us a bit about yourself – what age are you, what’s your favourite subjects in school? I’m 14 years’ old and my favourite subjects in school are maths and biology. Before heading to Africa what were your thoughts on the Mulanje Mission Hospital and what were you most looking forward to? Before travelling to Malawi, I knew that the Good Little Company supported Mulanje Mission Hospital. Initially, I was very nervous about going, I was concerned about animals such as snakes, large spiders, crocodiles, mosquitos and hippos. How long did it take you to travel to Malawi and what was the time difference? It took us approximately 24 hours to arrive in Malawi. Dublin – London – Addis Ababa – Lilongwe. The time difference in Malawi was one hour. Can you describe where you were staying and the weather? The first place we stayed was Mwaya Nkhata Beach with Ripple Africa. Our room was more like a little hut, there was no electric, no running water and the lights which were solar powered. There was no toilet in the room so if you needed to go during the night you had to take the risk of heading to the restrooms in the dark with the potential of running into hippos, snakes or huge spiders. The second place, Mulanje, I remember the bathroom, it had around a million dead ants on the floor and flooded above your ankles when you had a shower. The weather at Mwaya Nkhata Beach was really warm, around 29oC. However, in Mulanje it was quite bad which is unusual for the time of year with rainy season usually occurring in February. What language do they speak in Malawi and did you learn any new phrases in this language? The national language is Chichewa and is spoken by 57% of the population. Can you give us some information on the projects the Good Little Company supports in partnership with the Mulanje Mission Hospital and the Ripple Africa initiatives you visited? We visited the fish conservation project, located in the Nkhata Bay district on the shores of Lake Malawi. It is one of Ripple Africa’s projects. (See link on their website for more details. We also stopped by one of the schools working to reduce teenage pregnancy. 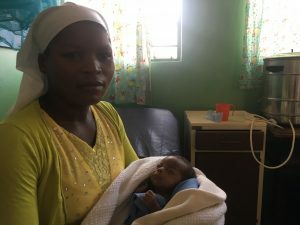 Both Mulanje Mission Hospital and Ripple Africa have initiatives to reduce teenage pregnancy as it’s a really big issue. At Ripple Africa, they have built a Girls’ Boarding department at the Secondary school to encourage girls to complete secondary education. While at Mulanje Mission Hospital there are various education initiatives to reduce teenage pregnancy. These are mostly operated from the Youth Centre at Mulanje Mission. 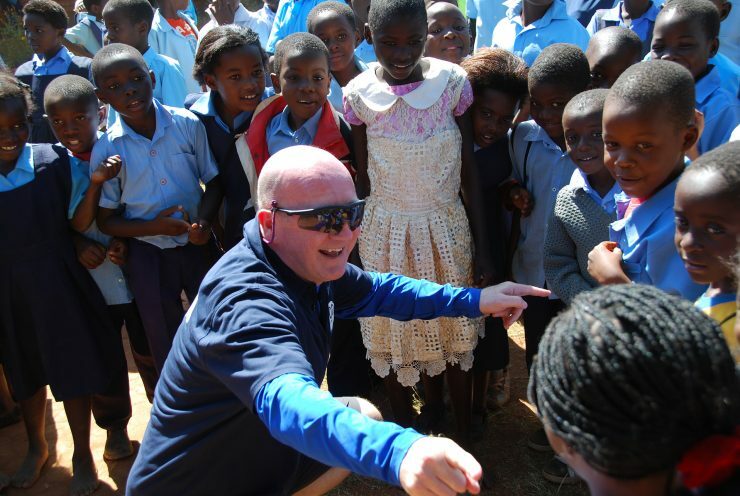 Another initiative we visited was Geoff Furber (Ripple Africa) ‘Changu changu moto’ (fast, fast, fire) stoves creation. After many prototypes, this model has been adopted as a method of cooking which is good for the environment, low cost, low maintenance. It replaces the traditional ‘3-stone’ fire which uses three times the amount of wood, necessary for the changu changu moto stove. How did their school compare yours? Do they learn similar subjects? The Secondary School I visited was mostly boys, the classroom had no windows and there were 3 or 4 pupils per desk. They’re taught Chemistry and Science in school, however, it’s not to the same standard as here [United Kingdom] as the teachers do not need to be qualified. 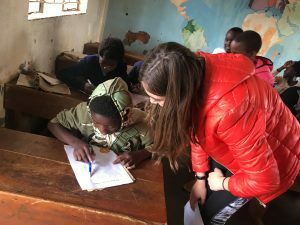 The Primary schools had over 100 students per class (115 Foundations Ripple Africa; 150 Mulanje Mission) with 5 people sharing chairs and a desk. At pre-school level the children have no chairs, desks, or books. You brought with you some gifts for school kids and wordsearch printouts. Did you hand these out, if so, what was the reaction? We handed out the stationery and wordsearches to school children at Apatsa Primary School at Mulanje mission. This school is the initiative of three retired Malawian school teachers, Stella, Ella and Margaret. The school is very small, with only 94 pupils and includes orphans. The kids loved the stationery and had never heard of a wordsearch. I handed out wordsearches to each child in the class and taught them how to complete the puzzle. They found it hard but really enjoyed it. What sort of food do they eat for school lunch? What was your favourite meal while visiting? At the Pre-schools run by Ripple Africa, the children have a meal of sweet potatoes which were grown at the school. 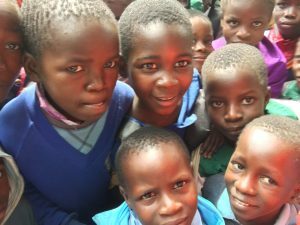 At the Primary Schools in Mulanje Mission district, the children have a bowl of ‘likuni phala’ which is a maize porridge fortified with soya and vitamins. One of the initiatives of Mulanje Mission Hospital is the, Sustainable Livelihoods Programme, to develop agricultural projects so that the schools will grow their own maize and soya for this daily meal. Samson Primary School has successfully harvested their first crop for this purpose. My favourite meal was the Chomba fish. It was very tasty and it’s the fish they’re working to preserve as part of the fish breeding program. However, I did really enjoy the meal my Dad cooked with the fresh meat he bought from a Butcher in one of the villages we passed through. What was your favourite experience while in Malawi? 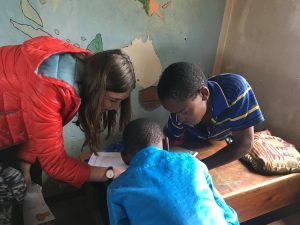 I enjoyed visiting the schools as it was familiar to my usual routine and I thought I would know what to expect, but they were very different. I also love working with children, it was a lot of fun getting to meet the pre-school kids. Another visit which was very interesting was the Kangaroo Mother Care clinic, were the babies are strapped to their mothers’ chest in an upright position. The head should be turned to one side and in a slightly upturned position. This helps in breathing of and allows eye-to-eye contact between the mother and her baby.